Denis Simachev has jumped in the train of hi-end gadget modifications right away. In 2007 he re-designed Sony Playstation 3 that featured traditional Russian Khokhloma print. 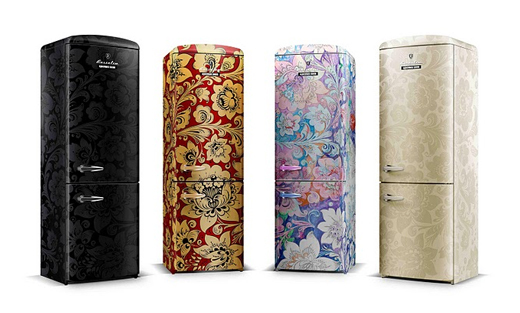 IPad and iPhone 3 modifications quickly followed suit, not to forget a line of Khokhloma-covered fridges (which is not a gadget, ok, I just wanted to give an example of Simachev’s devotion to that particular Russian print). 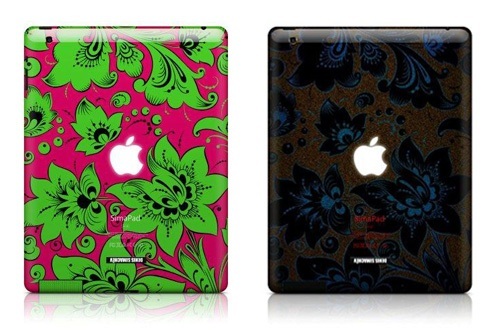 Right now the line of Apple devices re-designed by Simachev includes SimaPhone 4, Simapad 2 and SimaBook Air. 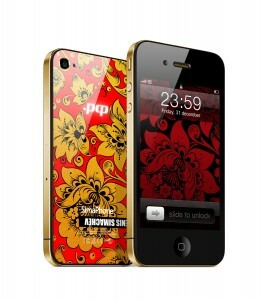 Metal parts of SimaPhone 4 are covered with 18kt gold (sic!) and the glowing apple on the back can be customized to feature your logo or initials. Bust the most amazing thing is the price. I almost forgot how crazy Russians can be about spending money… do you think $2600 for a SimaPhone and $2800 for a SimaPad is just enough?